Despite days of rain and gloom, the temperature is actually warming up quite a bit here. I think the groundhog said 6 more weeks of winter but that's just a rodent with a bad attitude. I'm predicting an early spring. 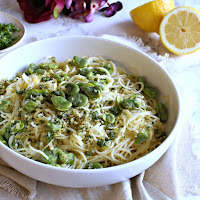 And even if the sun is not quite cooperating now, I'm willing it to with spring-like foods. I was craving a big bowl of pasta with fresh fava beans and a bright, lemony gremolata. Or at least a hybrid of it. True gremolata is a mixture of garlic, parsley, lemon and anchovy whereas pangrattato is a breadcrumb mixture. Well, I do love breadcrumbs in pasta plus the anchovies weren't really screaming spring to me. So I created a hybrid of the two with garlicky breadcrumbs and plenty of parsley and lemon zest. I can usually find fava beans at gourmet markets and places with large produce sections. 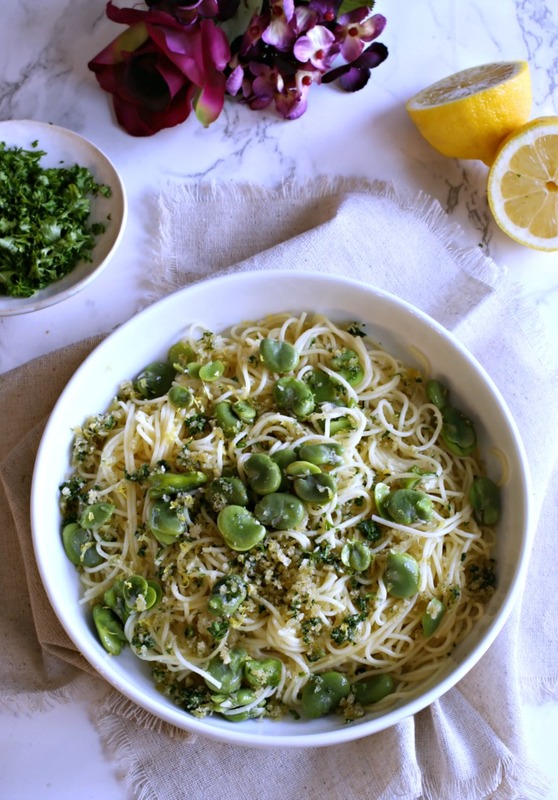 But, in a pinch, you can substitute lima beans for the same effect. Enjoy! Shell the fava bean pods by tearing off the top of each pod and pulling the string-like seam down. Pull out the beans and drop them into a pot of salted boiling water. Cook for 1 minute, drain and set aside to cool. Add the olive oil to a pan along with the minced garlic. Cook for 1 minute but be careful not to let the garlic burn. Stir in the breadcrumbs and let them toast. Stir in the parsley and lemon zest. 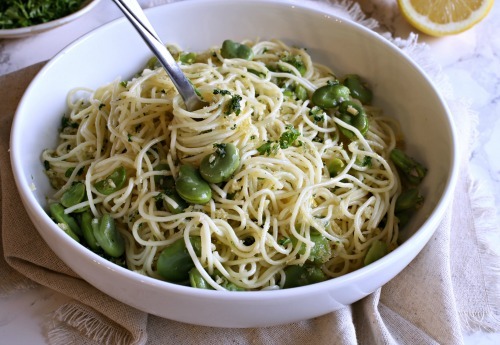 Stir the fava beans into the hot, cooked pasta. 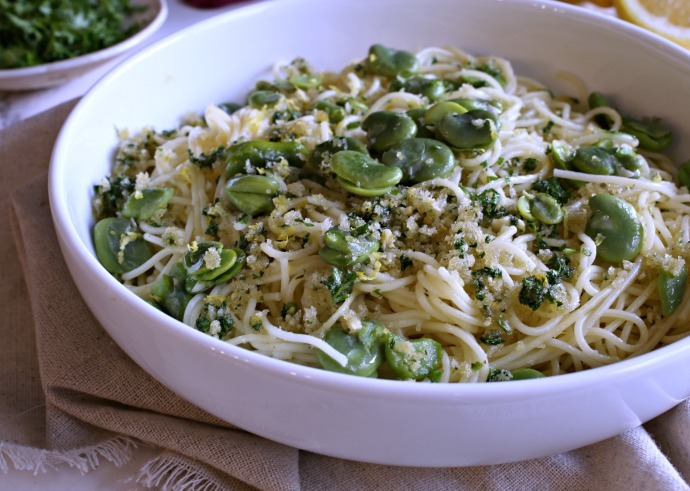 Toss the pasta with the gremolata mixture and top with grated Parmesan.